Ever since our company's inception, we have always strived to provide the highest quality of home theatre, high-end A/V equipment, and expertise to our customers. Our commitment to the customer is unsurpassed, as is the quality of the products and services we offer. At Millennium Marketing, our goal is your satisfaction. Therefore, our primary objective is to determine your needs and provide the best products to meet those needs. We will also equip you with the know-how to fully maximize your sales opportunities. Whether you're installing a large screen display, a whole-house av system, or simply want to upgrade an existing installation, we're confident you'll find what you need. If you are not a Millennium Marketing account and would like to be, please feel free to contact us for more information. We look forward to speaking with you! The Anthem MRX Series are the best sounding Home Theater Receivers on the market! 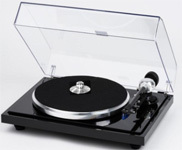 EAT turntables deliver maximum technology, performance and maintain an incredibly elegant look. 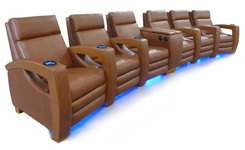 High end, custom Home Theater seating and chairs for media rooms, lounges and more. Sim 2 delivers State of the Art technologies to create top quality display solutions. MILLENNIUM MARKETING began as Thomas and Hobbs in January 1989, changing to HOBBS MARKETING in 1991, when Chris Hobbs bought out the Thomas portion of the company and then, most recently, to MILLENNIUM MARKETING in 2010 to signify the emergence of a new era. In today’s market, successful representative firms must go beyond simply “asking for the order.” Because MILLENNIUM MARKETING seeks only to represent vendors we believe have superior products, we must bring to the table abilities that are equally superior to the competition. SALES /PRODUCT TRAINING: We take great pride in our capabilities in both the technical and practical sales training. We have a unique ability to convey highly technical information to non-technical salespeople. This is critical for both short and long term success.